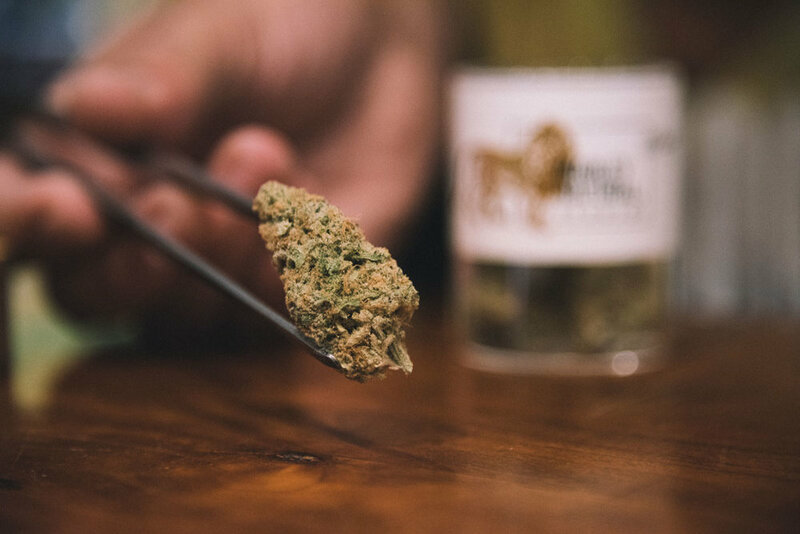 Marley Natural recently interviewed Torrey Holistics’ budtender, Taron, to hear about his favorite strain, medicating after military life and what his family in Texas thinks about his career in cannabis. 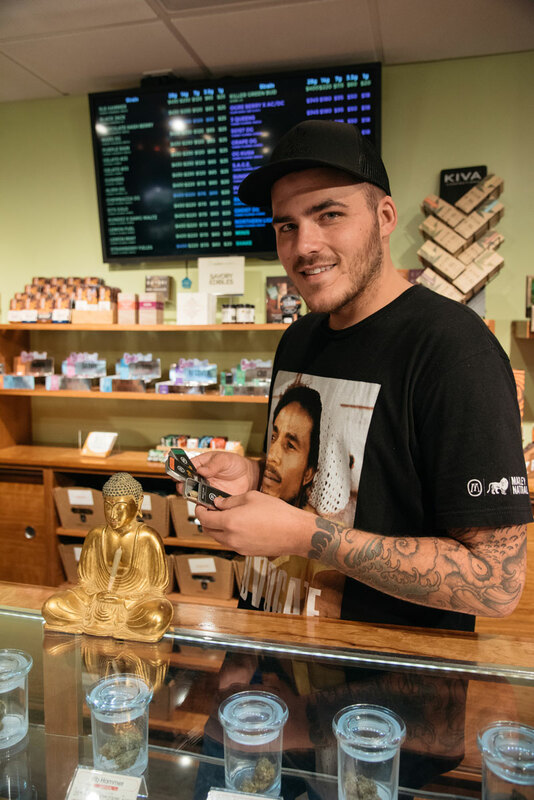 Marley Natural: We are here with Torrey Holistics’ budtender, Taron. Thank you for speaking with us. 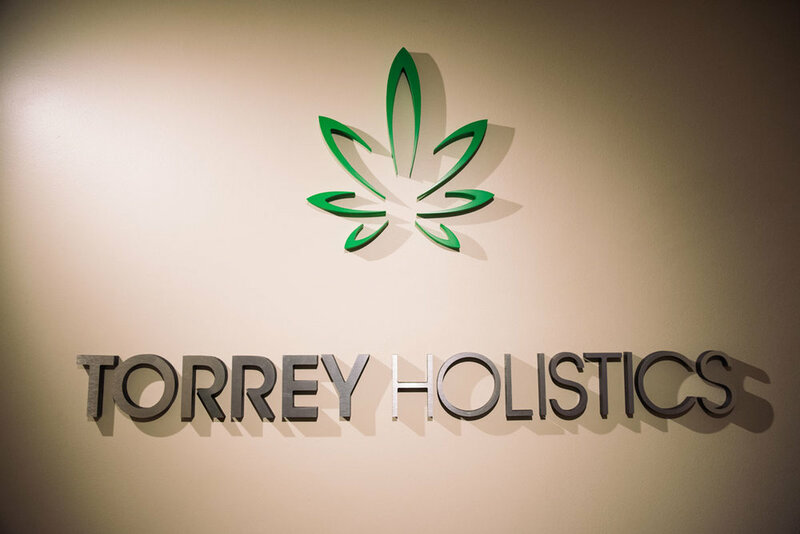 How long have you been at Torrey Holistics and what brought you into the industry? Taron: I've been at Torrey Holistics for about a year and a half now. Prior to this, I served in the military and shortly after that in culinary school. I found after learning a lot about nutrition, I wanted to be in a more holistic field. I really like helping people and this really suits my needs. Helping people is a great feeling. You mentioned being in the military. Do you use any herb, for example CBD, to medicate? One of our teammates had back pain from serving in the military. He smokes Granddaddy Purple. Do you use anything to help with that? I do. I find some of the more mellow indicas or some of the indica-dominant hybrids help me through my day-to-day. It helps me to relax, keeps me from getting anxious, and then some of the heavier indicas help me sleep at night, where I had issues before. 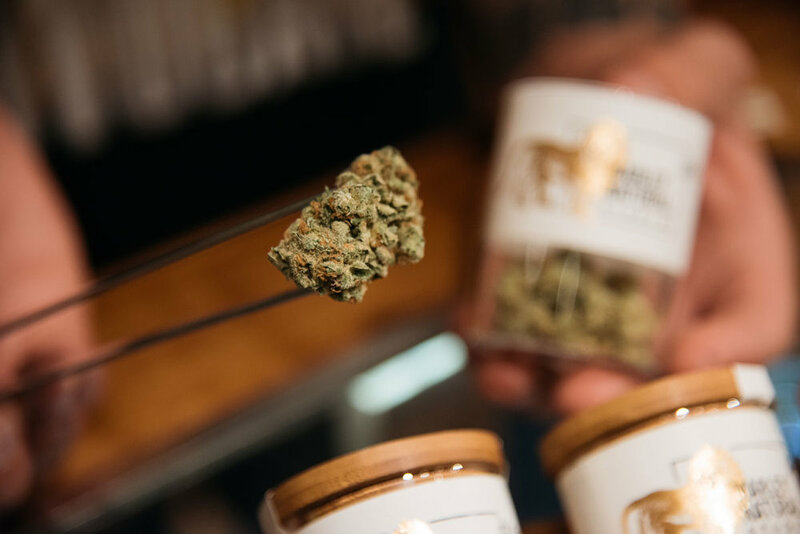 What do you love most about working in cannabis? I really like helping patients. I find this is something that comes to me naturally. I'm able to really absorb and relate to people who maybe don't necessarily understand. It really makes my day. 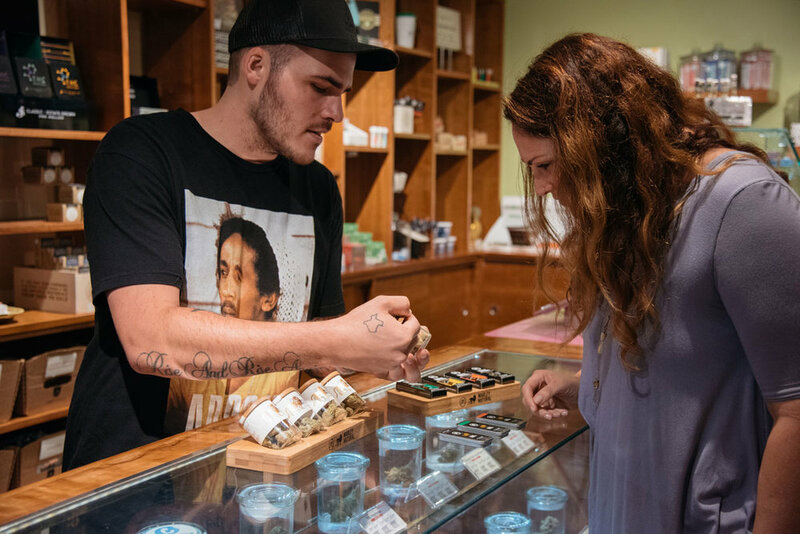 Sativa, indica, hybrid, or CBD, and why? Indica, if possible. I prefer the heaviest. If I'm going do CBD, I like a 2:1 ratio, but higher THC and lower CBD. 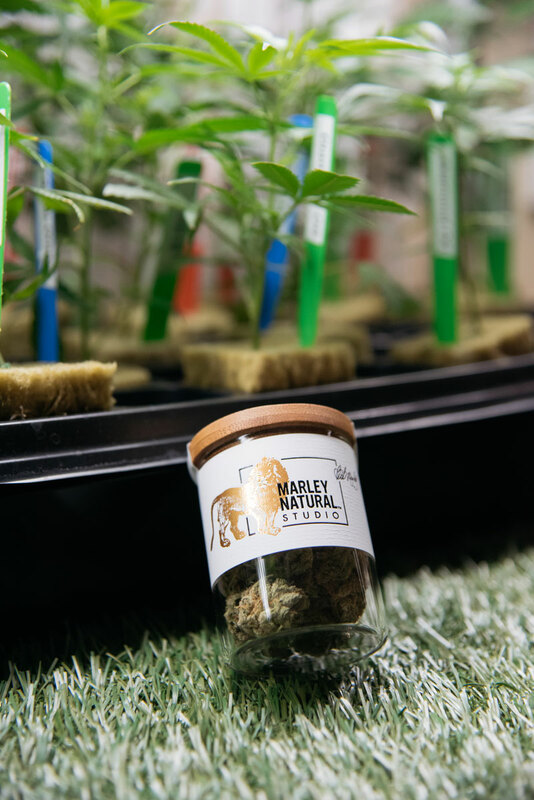 What’s your favorite Marley strain and why? Favorite Marley strain would have to be the Ghost OG from the STUDIO line. I really enjoy the properties for my daytime use. It's more like my golfing strain. It keeps me loose and it keeps me energetic. Then I really like the Malawi if I step into that sativa field. 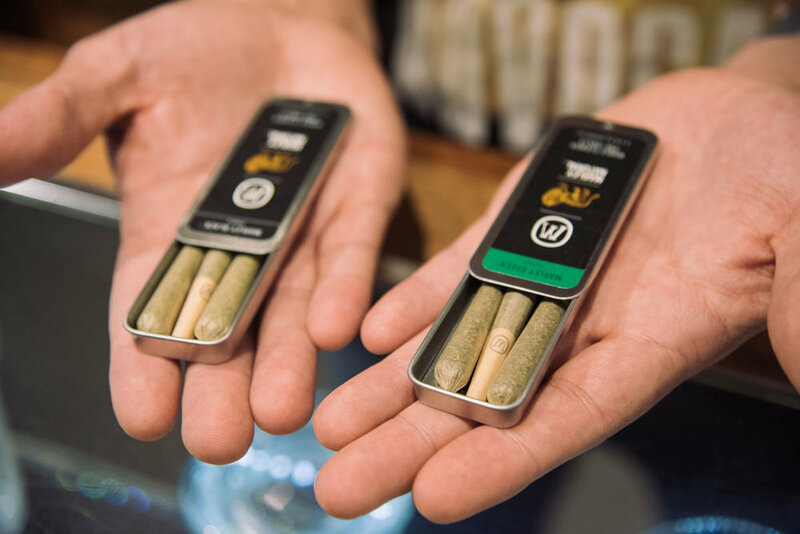 What's your go-to — flower, pre-rolls, or cartridges, and why? Flower, for the most part. I do kind of mess with a little bit of everything. 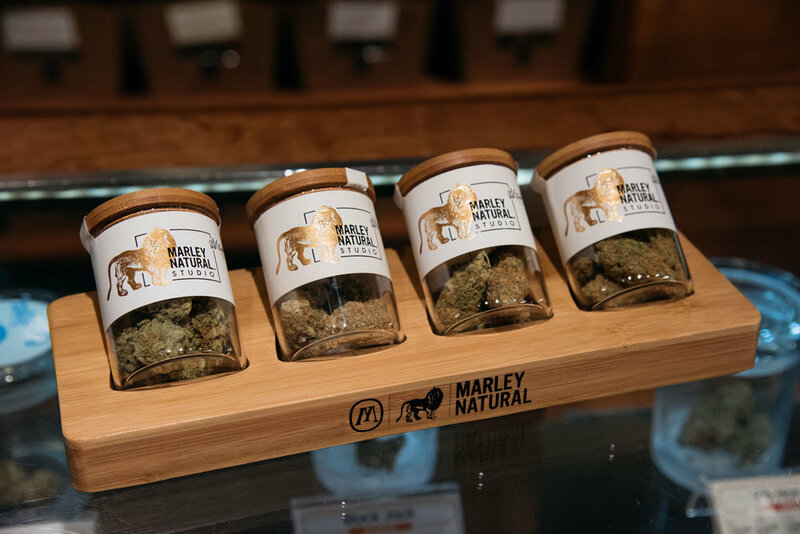 I really enjoy the Marley Natural carts, though. I feel they're the strongest on the market, the best bang for your buck. Where do you see the future of cannabis, looking 20 years into the future? What would be your ideal vision of cannabis? Decriminalized, to be honest. I would like to see everyone have access to the same medication I can get out here. I am from Texas, and a lot of my family members can't get the same medication I'm able to. So for me, it'd just be decriminalization. Yeah, being from Texas, what is that like? What do your family think? What do your friends think? Growing up, I had a different outlook on cannabis from what I have right now. It was kind of looked down upon. A lot of my family members are now transitioning to being more open-minded with the information I'm giving them and some of the kind of trial and error that they're going through. Last but not least, why are you an advocate for the herb? Because it's natural and I know I can't hurt myself. I know I'm going to wake up the next morning and feel the healthiest I've ever been. San Diego, CA 9212. Don't forget to follow them on Instagram @torrey.sandiego!